The ink may be dried on a settlement between the region and city on a longstanding dispute over transit liabilities, but one member of regional council is not letting the issue go away and warns it could happen again. The City of Oshawa paid $2 million to Durham Region on April 30, the first payment of a negotiated deal. The city will divvy out $4.2 million more in 10 annual payments over the next decade. As reported previously in the Oshawa Express, the settlement relates to the city disputing unfunded benefit liabilities from the uploading of transit services to the region in 2004. The city reported it had spent $1.5 million in legal costs on the matter, while the region has yet to reveal its share. An update from region legal staff in March 2017 indicated Durham had spent $720,000 in legal costs up to that point. At the May 2 committee of the whole meeting, Oshawa Councillor John Neal estimated those costs had likely doubled over the last year. “That is $3 million between the region and the city,” he said. Neal suggested adopting a formal policy to deal with future legal disputes between the region and municipalities. While this notion was met with some laughter from his colleagues, Neal was not amused. Director of legal services Jason Hunt said it would not be the region’s intention to engage in a legal dispute with a municipality again. Ajax Councillor and finance committee chair Shaun Collier called the dispute a “one-off situation”, while regional chair Gerri Lynn O’ Connor stated she felt there was no point in establishing a policy without first knowing the situation they’d be dealing with. “Each one will have to be dealt with on an individual basis,” Collier added. Neal criticized the quality of correspondence provided to the city from the region on the matter. “Those were not good reports,” he stated. 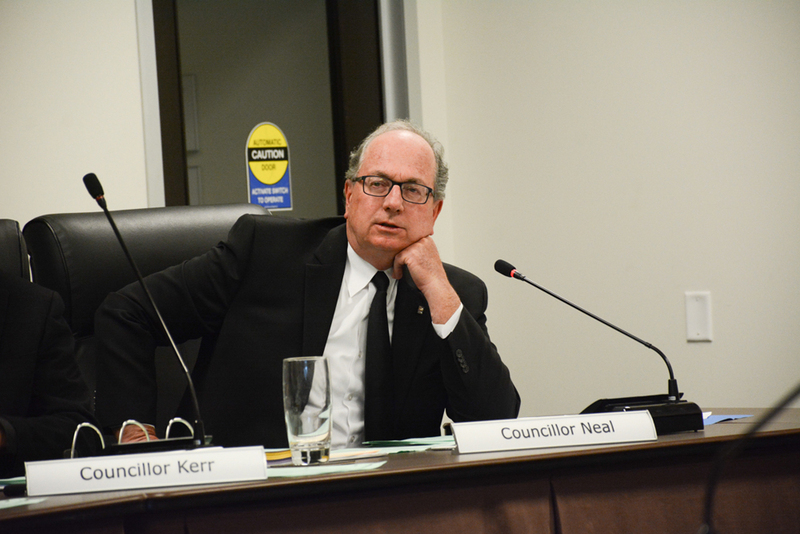 Neal and Collier began speaking over each other, as the Oshawa councillor questioned whether similar circumstances would occur the next time the region comes to the city to amalgamate services. When Collier queried Neal on what services those would be, Neal said that former regional chair Roger Anderson previously approached Oshawa council about a regional fire service in the past.